NOTE: Please see the registration time period, if you register before the beginning date, it will go through the system, but will not be accepted on MUDEC's end. This is only to make each tour fair and open to all students equally. (All are first come, first serve.) Note that not all Discovery Tours have the same registration time period. Please read the following carefully as you are responsible for understanding and agreeing to the "Discovery Tour Terms and Conditions" when registering for any Discovery Tour. Either fully or partially funded by MUDEC alumni (free to students and lunch provided), these tours take place (usually) on Fridays beginning in the morning and ending in the evening (although sometimes occurring on weekends). At the end of the tour, students will be dropped off at a nearby train station, allowing for easy travel for the rest of the weekend. (Of course, students are welcome to return to Luxembourg too!) During these excursions, we explore nearby regions (usually within Luxembourg, France, Belgium, or Germany). This is a great opportunity to explore local gems and "off the beaten path" areas. Many times, we choose activities that may be difficult for students to visit with public transportation or arrange on their own. (Please note that students cannot depart before end of the tour.) In some cases, the day will end with free time before students are dropped off at a local train station. In this case, it is noted below. If students decide to depart on their own during free time, they must organize how to carry or pick up luggage, are responsible for their own transportation to next destination, and should inform Andy of when they plan to leave. *Please remember that Discovery Tours are supplemental to academic and co-curricular activities. Students are expected to prioritize academic responsibilities and residency permit obligations. Depending on his/her class schedule and academic program, all students may not be able to attend all tours. Students are expected to check their academic calendar and other commitments before registering for a tour. Please remember that these tours are simply supplemental and extracurricular in nature. It is highly recommended that students manage their weekday time effectively to allow for a more successful and enjoyable semester. It is also recommended, by MUDEC and previous students, that students spend at least one weekend in Luxembourg in order to 1) enjoy the country in which you are living and 2) give your mind and body a break between travels. Bonus: Each Discovery Tour counts at least for 5 points towards LUX 335! Registration for Discovery Tours is first come, first served and will begin during the first week of classes (or possibly, for some tours, before the semester begins). As spaces are usually limited and registration in advance is necessary for transportation and activities, students will need to register ahead of time by the date listed next to the Discovery Tour below. Once the registration time period has passed and spaces have been confirmed, Andy will email all students who registered as to who has been accepted to the tour and who is on the waiting list. He will also email further details about the tour with specific start times and locations closer to the date of the tour. Before registering for any tour, please be sure to confirm your academic schedule. All academic activities take priority over co-curricular events, like Discovery Tours. Thus, each student is responsible for making sure that he/she has checked his/her schedule before registering. MUDEC will not be responsible if you cancel due to a pre-planned academic commitment. ​If the tour requires a fee (usually only for overnight tours), such fees will be paid using Mulaa. Students will only be added to the tour if sufficient funds are present in their Mulaa account. Please be aware that in order to allow each student an equal opportunity, you can only register for yourself and, once you register, if you cancel, there will be a €10 fine (unless you find a substitute at least 48 hours in advance and have both you and the substitute sign the appropriate forms in Andy's office) plus any other fees associated with missed activities. For overnight tours, a substitute must be of the same gender and the form must be turned in at least one full week in advance of the tour. Cancellation must be at least 48 hours in advance of when the tour will leave MUDEC and during office hours (8:00-17:00). If cancellation is past the 48 hours deadline or a "no show" occurs on the day of departure, the student will need to meet with Dean Leterre and may be subject to additional fees. Further, if a student cancels two tours after the 48 hours before the tour (or is a no-show), he/she may lose the possibility to participate in tours for the remainder of the semester. ​To cancel, please send an email to Andy with the title, "Cancellation: Name of Discovery Tour". If the cancellation requires a fee, sufficient funds must be added to your Mulaa account at the time the cancellation email is sent. For each day after the 24 hour grace period in which sufficient funds are not present, a €1 charge will be added to the fee. ​When the list is full, Andy will send out an email with the list of students attending and the waiting list. (You can continue to sign-up after this list is sent out and can be added to the waiting list). Like all MUDEC events and tours, once you register, you are expected to participate. Reservations will be made and tickets will be purchased in advance. So, please, before registering, carefully check your class schedule and travel schedule and email Andy with any questions. *Please note that if either the US Department of State or Miami University Risk Management deems a location or activity unsafe, it will be either canceled or replaced as soon as we are notified. This is a rare circumstance, but as our students' safety is most important to us, this may occur. In this case, students who are registered are expected to attend. **Registering for lunches: For each tour, you will be notified whether a bagged lunch will be provided, lunch will be organized as part of the tour, or whether lunch is on your own. Depending on the logistics of the Discovery Tour, lunch plans may subsequently change and you will be informed in advance if that is the case. If a bagged lunch is provided, it usually contains a sandwich, fruit, water bottle, and snack. The only difference between a "regular" and "vegetarian" lunch is the sandwich. A "regular" lunch usually includes a ham, salami, or turkey sandwich and a "vegetarian" lunch usually includes a cheese sandwich. If neither of these options will work with your dietary needs, please be sure to notify Andy in an email titled "Discovery Tour Dietary Needs" with your dietary needs/concerns at least one week before your scheduled Discovery Tour.. In looking at the rest of the semester schedule, we have identified several dates for Discovery Tours which will allow you to discover the region, save on your travel expenses, and recharge your batteries before and after major travel periods such as the Study Tours/Spring Break and the extended weekend at the beginning of May. Please be sure to read through "Discovery Tour Terms and Conditions" at the top of this page before registering and note that each tour is first come, first served (once the registration period has opened). Any registrations submitted before the registration period will not be counted. Description: With the Music class trip planned over the weekend, organizing a Discovery Tour on Friday made perfect sense. Just over the border in Belgium is Luxembourg Province, originally part of the Grand Duchy until the 1830s. On this Discovery Tour, we will visit two of the gems of Luxembourg Province, Orval and Bouillon. Orval is home to Orval Abbey, a famous Cistercian monastery, founded in 1132. Completely destroyed during the French revolution, it was only rebuilt during the first part of the 20th century. In order to raise funds for the reconstruction, a brewery was created inside the abbey and Orval now produces one of the most renowned Trappist beers. In addition, a very distinctive cheese is also produced. We will visit the ruins of the medieval abbey and the museum followed by lunch before the short drive over to Bouillon. 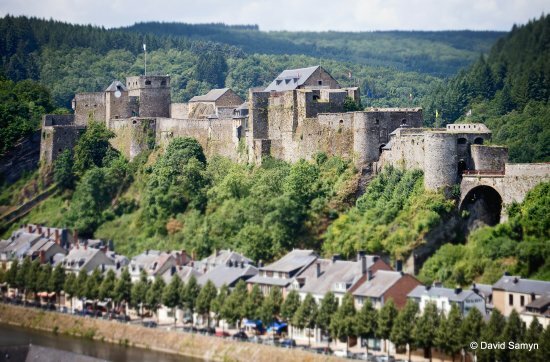 Bouillon is home to a castle originally built in the 8th century, which was home to Godfrey of Bouillon, leader of the First Crusade in 1096. Schedule permitting, we will attend the falconry show at the castle, featuring buzzards, eagles, owls and vultures. Yes, I agree. No, I do not agree and will not participate. 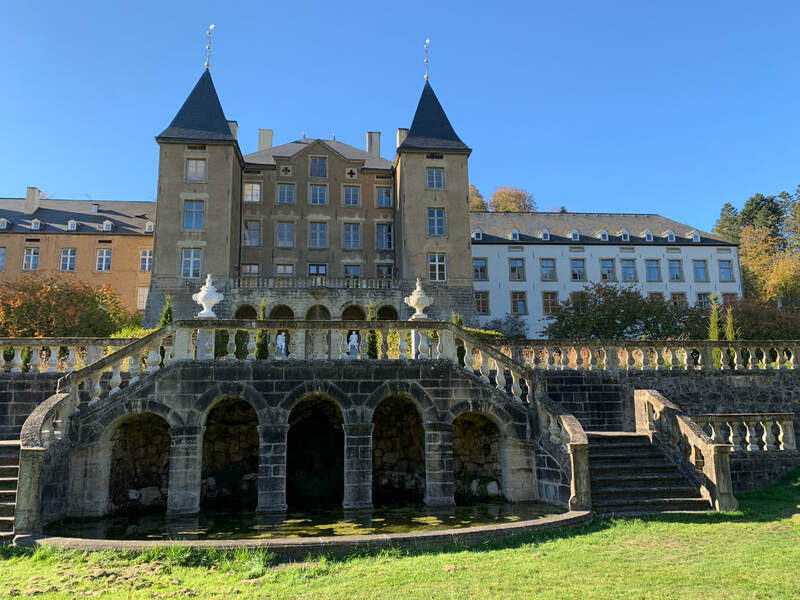 Description: After the long travel period for the Study Tours and Spring Break, it’s a great time with the longer post-time change days to explore Luxembourg and this Discovery Tour will take you to two incredible, and very different, locations. We will start at the Château d’Ansembourg, in the Valley of the Seven Castles. 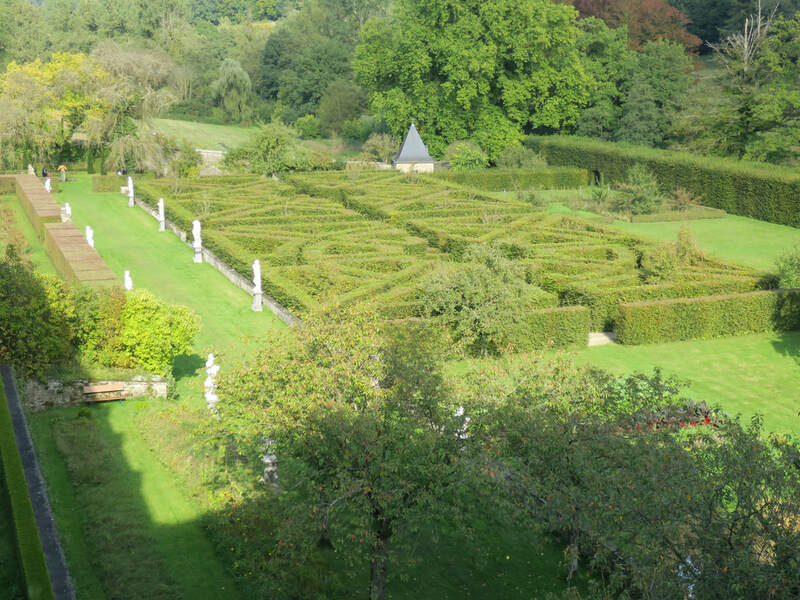 Originally constructed in the 17th century, the fabulous gardens were added in the 18th century giving the castle a completely different feel than any other castle in Luxembourg. We will spend most of our time visiting the extensive gardens followed by a picnic lunch (weather-permitting). Afterwards, we will continue on to the north of Luxembourg in order to visit Clervaux. Site of a key battle during the Battle of the Bulge, we will visit the castle, which was destroyed during the battle and completely rebuilt. It is now home to the Family of Man photography exhibit, originally created by the Luxembourgish photographer Edward Steichen for the MoMA in 1955. Now listed on the UNESCO Memory of the World register, the exhibition has been permanently installed in Clervaux since 1994. You will also have some free time to explore Clervaux before returning to MUDEC. Description: To give you another option for the weekend after Spring Break, we will organize a second Discovery Tour to World War I and II sites in Lorraine. To start we will head for two sites from World War I, the St. Mihiel American Cemetery and the Montsec American Monument. World War I had been raging for almost 3 years when the U.S. entered the war in April 1917. Due to the poor state of the armed forces, it took over a year until U.S. troops were thrown into battle. The first American-led battle of World War I took place near St. Mihiel in September 1918. George Patton commanded a tank battalion during the battle and Douglas MacArthur commanded troops as a Brigadier General. Both would go on to worldwide fame during World War II. 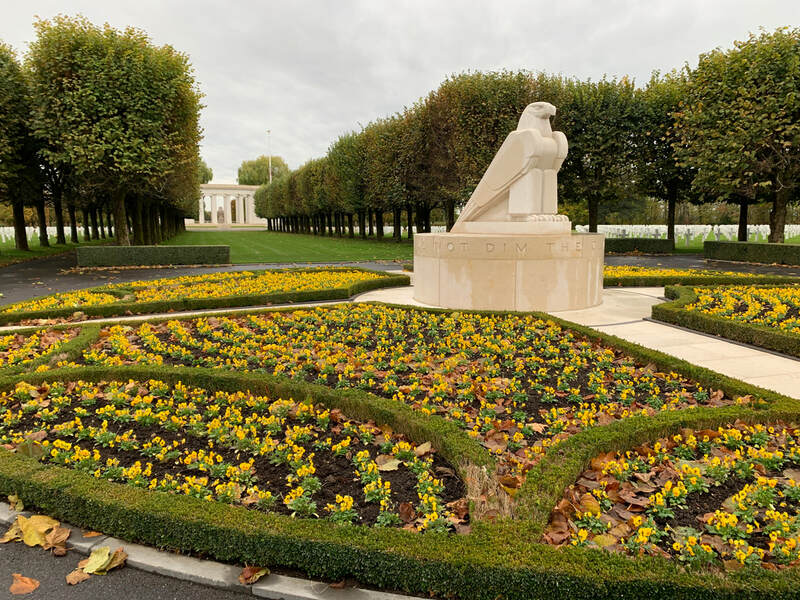 More than 4,000 soldiers are buried at the St. Mihiel Cemetery. 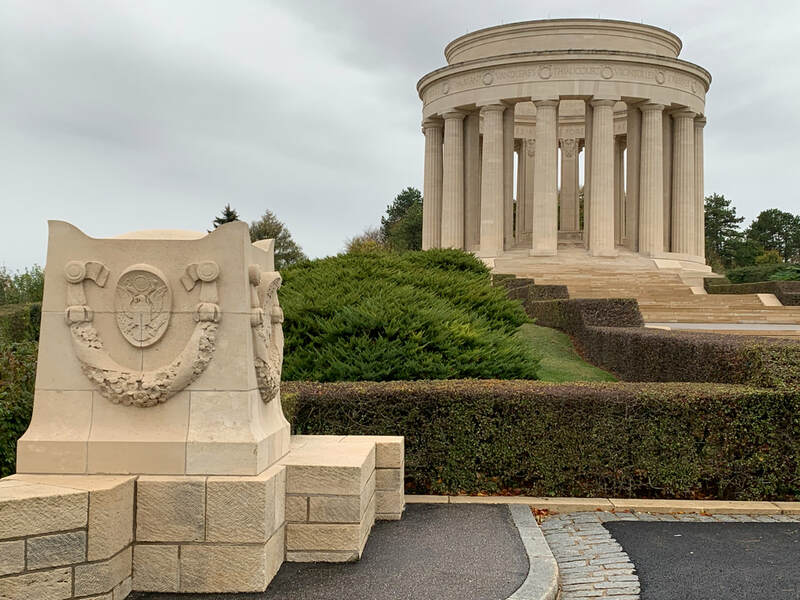 A short drive from St. Mihiel, the Montsec American Monument was built in commemoration of the achievements of American troops throughout the area during World War I. 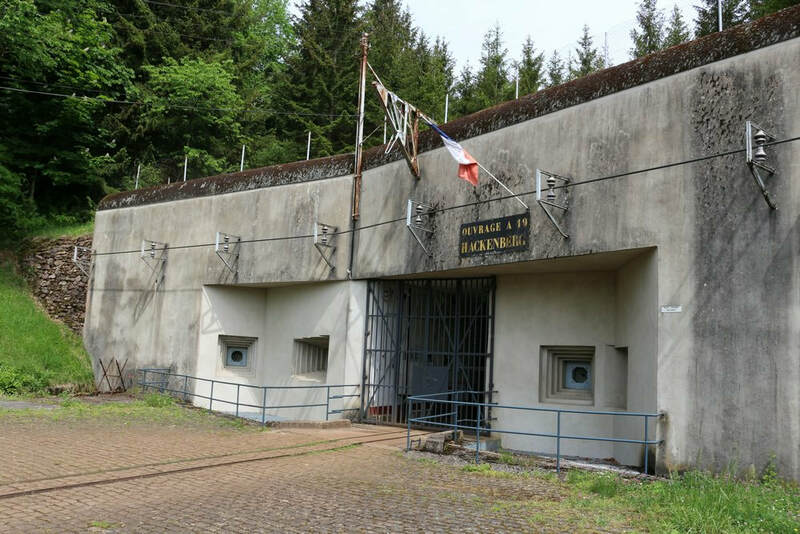 In the afternoon, we will visit Fort Hackenberg, part of the infamous Maginot Line. The Maginot Line was a wall of fortifications built by the French after World War I to protect against a future invasion by Germany. During World War II, Germany invaded France through Belgium and simply went around the Maginot Line. The extensive tour will take us inside and outside the Maginot Line, including a train ride through the fort. We should be back at the Chateau by around 17:30. *IMPORTANT: Mulaa funds must be uploaded for registration to be accepted! Description: Before your extended travel weekend at the beginning of May, we will take an overnight Discovery Tour to discover the magic of Alsace. Some of you may have already been to Strasbourg or Colmar, but the beauty of Alsace lies in the small towns along the Route du Vin and the accompanying area. 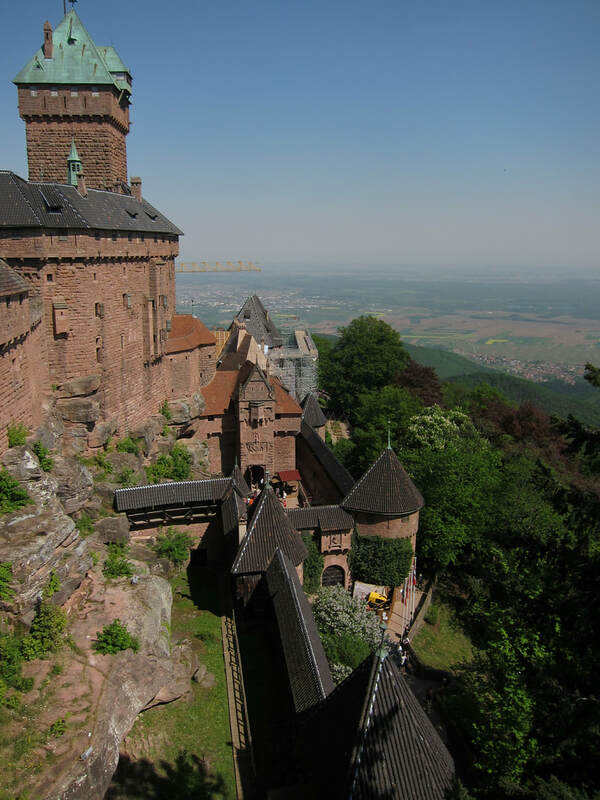 Following an early departure from the Château, we will drive to the northern part of the Route du Vin, visiting the incredible Haut-Koenigsbourg Castle. Originally abandoned in the mid 17th century, it was rebuilt by Kaiser Wilhelm II when Alsace belonged to Germany at the beginning of the 20th century. Built on a rocky spur, it provides an unparalleled view over the Alsatian plain. Nearby to the castle we will visit Montagne des Singes (Monkey Mountain), a 60-acre reserve which is host to over 200 Barbary macaques. You will walk freely in the reserve with the possibility to feed the monkeys right out of your hands. 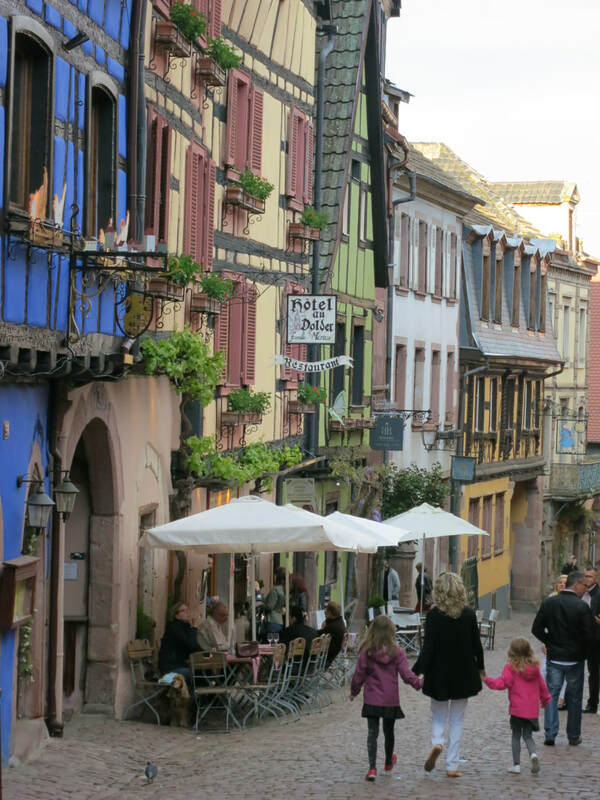 Following this visit, we will head towards Colmar, stopping along the way at one of the picturesque towns of Riquewihr or Kaysersberg, time-permitting. 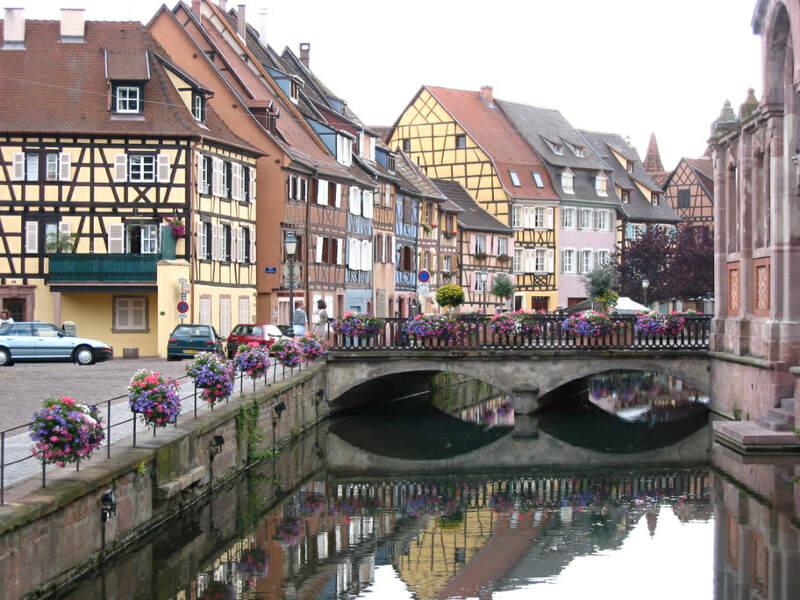 We will spend the evening in Colmar. On Saturday, we will explore Colmar before setting out for a visit to Struthof, which was the only Nazi concentration camp in France. 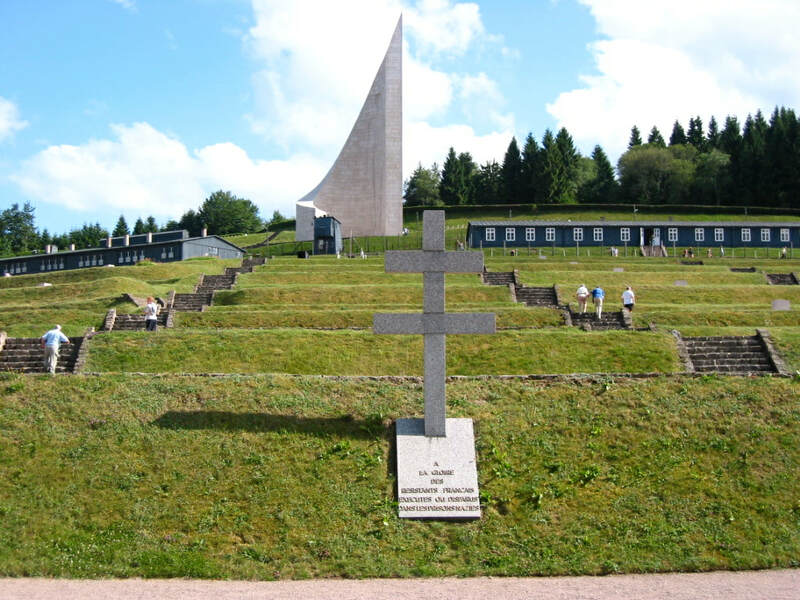 A picturesque setting in the Vosges Mountains contrasts with the somber reality of what happened at Struthof. Afterwards we will return to Luxembourg.